REGISTER NOW for Tuesday, May 7, 2019 Summit! Or learn more, at our new Summit website, www.WhartonDCInnovation.com. This Summit will add to your fun by closing with a keynote, David Morey, Wharton MBA, who will inspire you with his theme, "Creating Business Magic." David will demonstrate how you can harness the power of magic to create and innovate in your thoughts and actions to move your venture to new heights. 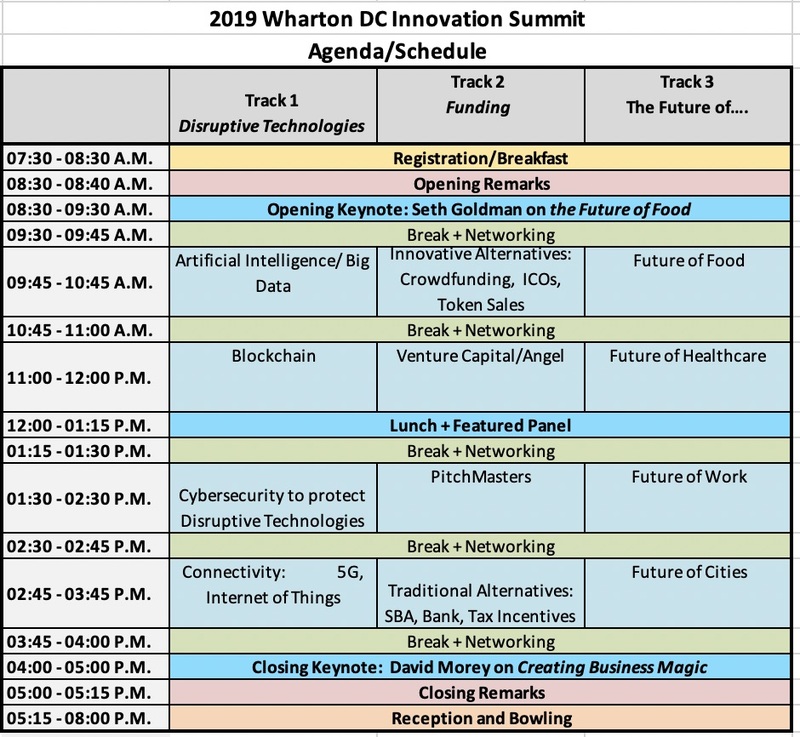 After four Summits of growing success and impact, we have reserved Tuesday, May 7, 2019, for this year's Wharton DC Innovation Summit: Disruptive Technologies - Your Path to the Future at Pinstripes, North Bethesda, MD. REGISTER NOW for Tuesday, May 7, 2019, to infuse your innovation and entrepreneurship capabilities with more knowledge, connections, inspiration and fun, as you move your career - and business or other organizaton - forward! Seth Goldman, Founder and TeaEO Emeritus Honest Tea and now Chairman of BeyondMeat.com, will inspire attendees with lessons he has learned on the path to success fueled in significant part by innovation, but overcoming huge obstacles. He will discuss many facets of "The Future of Food," from creative and more sustainable ways to grow, produce, distribute, and encourage the use of more healthful food products - and better ways to use water & other vital resources. S. Tien Wong, Chairman & CEO, Opus8, Inc. & Angel Investor. To see what we offered at the last Summit, cllick HERE to view our WhartonDCInnovation.com website. We will be updating that with the latest information about Sessions and Speakers at this year's Summit. Click here to Register for the Summit before rates rise again and to secure your place!!! 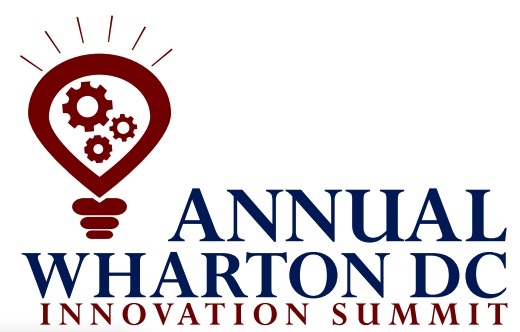 Learn more, at our new Summit website, www.WhartonDCInnovation.com. Feel free to contact us if you'd like to learn more about sponsorship opportunities by emailing us (just click here). (IMPORTANT: IF NOT WHARTON CLUB MEMBER, you must list the name of your Strategic Partner of which you're current member / Full-Time Govt. Agency / Nonprofit / Veteran (please enter mil. branch) under Special Instructions when you register. Thank you. And you're welcome to join the Wharton Club, if you'd like, to save. Computer Science, George Washington Univ. ... a total of 168 guests.